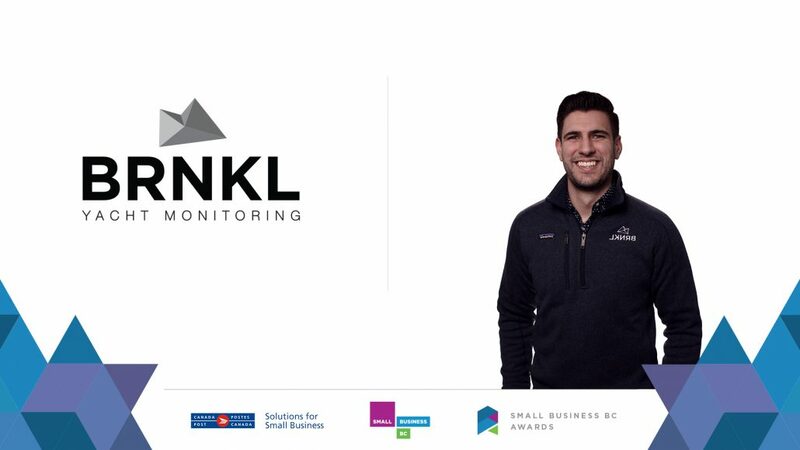 Boat Security and Monitoring Product Wins "Best Concept"
Victoria-based product, BRNKL, has recently been named as Small Business BC’s “Best Concept”. Victoria BC – March 20th, 2019 – Barnacle Systems Inc. (www.BRNKL.io) has reinvented how people check on their boats. Their product, BRNKL (pronounced barnacle), is like a “home security system for your boat” allowing users to check in on their vessel remotely from their smartphone, tablet, or computer. Based in Victoria, BC, and founded in July of 2017, Barnacle Systems has recently been recognized as Small Business BC’s “Best Concept”. The team at Barnacle Systems is eagerly awaiting the 2019 boating season and expects to see sales grow both locally and internationally as publications such as SAIL Magazine have begun to take notice of this Victoria-based product. After having already won Pacific Yachting’s 2019 “Most Innovative” product award earlier this year at the Vancouver International Boat Show the company anticipates “fair winds and following seas” as they move through 2019.